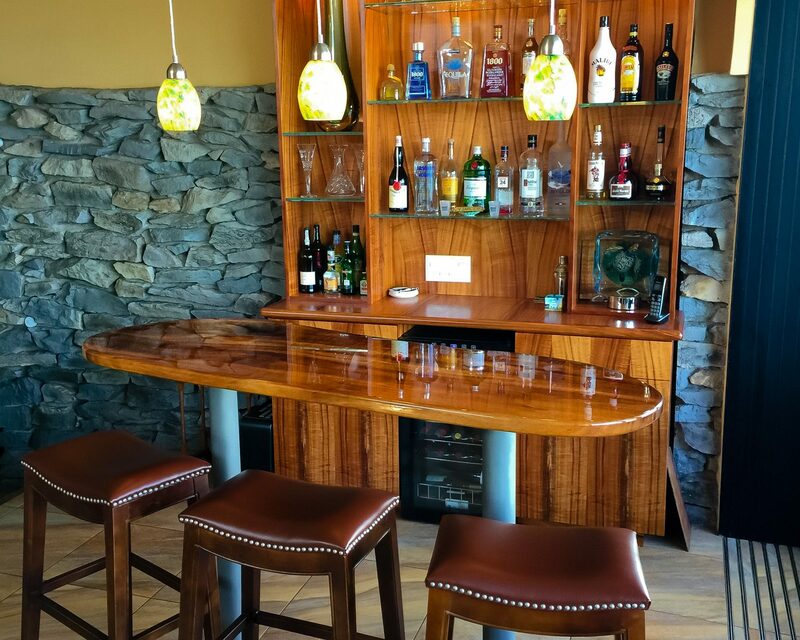 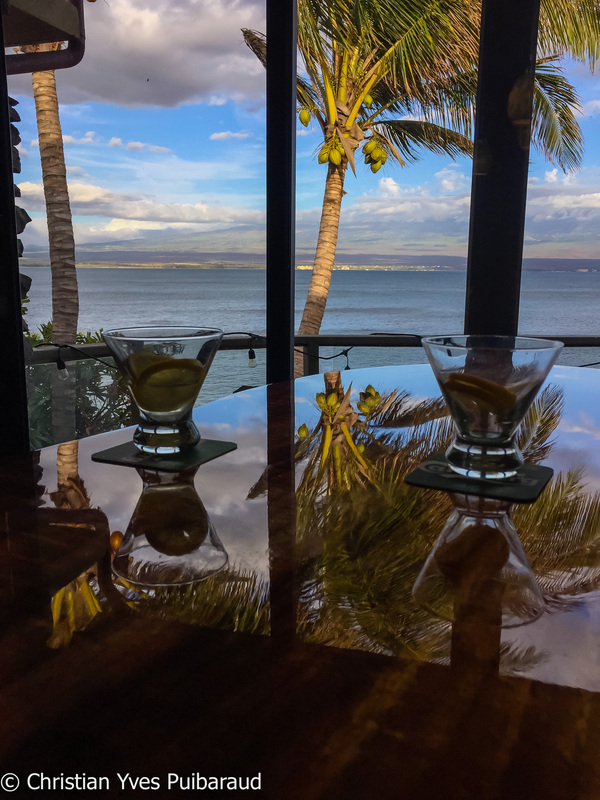 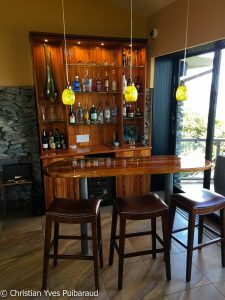 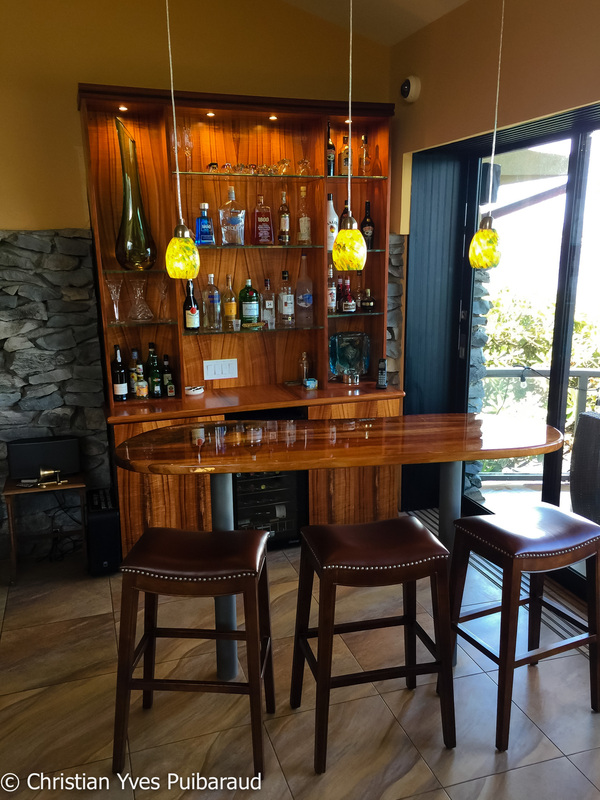 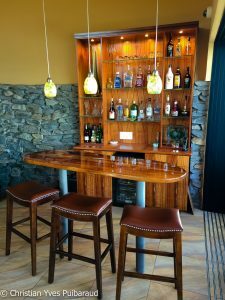 Curly Koa bar and cabinets with glass shelves. 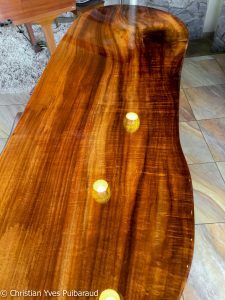 Table top is a solid Koa slab from Nāhiku on Maui. 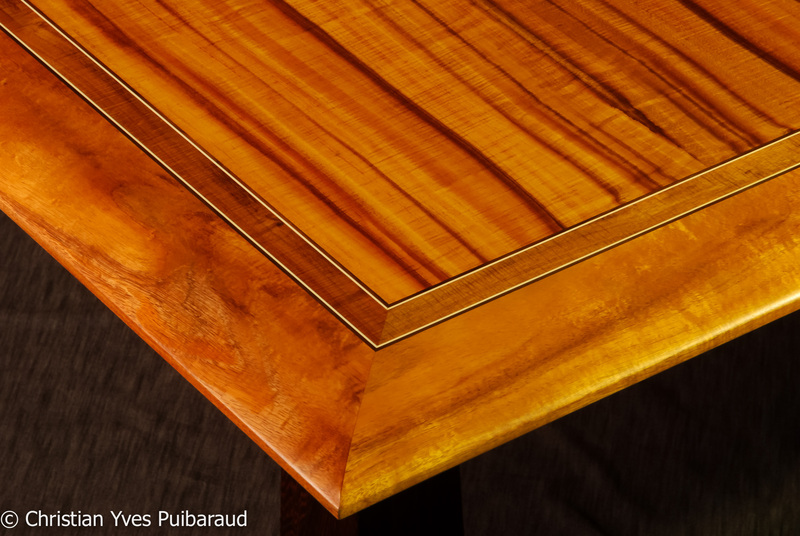 Cabinet is hand veneered and is inserted in the rock wall.